So your best friend, brother, or cousin’s wife is pregnant with their first child. There are a hundred thousand gift ideas for expectant mothers but there is also a very excited, probably equally as terrified dad that cannot be forgotten! Dad-to-be presents should celebrate the new era of a man’s life about to begin-fatherhood! There are many gifts both personal and practical, it is nice to buy those focused on a celebration of him, rather than for when the baby arrives. Gifts for dad also shouldn’t be for keeping his pregnant partner happy, as those are technically gifts for her. And no they do not all have to be ‘manly’. ‘Congratulations you’re going to be a dad,’ here is a ten pack of wet wipes is pretty funny, but isn’t a memorable present. Baby carriers and slings big enough for dad’s shoulders will be well received once the baby has arrived. As will be books on fatherhood. I bought my partner ‘What to expect when she’s expecting’ so he could have some reassurance when I was crying at a sandwich a few weeks into our pregnancy. It’s not just about what, it’s about where from? Sometimes gift shopping can be a real nightmare. Shopping centers can be hectic places and if you cannot find what you are looking for, it’s just stress, stress, stress. If you want to avoid buying the same old generic gifts or are struggling to think of the perfect present, why not consider buying a personalised gift that will show that you have put thought and care into your choice. Buying online means you can do it in the calm of your own living room, without being elbowed by rampant shoppers. Stuck for ideas? Check out or top five choices for dad-to-be presents. Dads to be are excited to show off their babies. A baby scan ultrasound keepsake is a precious gift, often pictures are tucked away into baby books as they are so fragile. Why not buy a beautiful metal keepsake card engraved with the scan image; perfect for slipping into a wallet. Women have jewellery boxes filled with earrings, rings, necklaces etc. The most common accessory you will see on a man is his watch. They are practical, stylish gifts made in a wide range of designs to suit the wearer. Gifts Online 4 U’s personalised watches come with free engraving and free UK delivery (so it is NOT more expensive to shop online!) My son and I picked this unique product as it is a perfect combination piece, smart enough for work with its black leather strap and its modern face with raised glass. There are different engraved designs to choose for the No.1 Dad such as a trophy design and a superhero dad design too, with ample room for including your own message. Arriving in a presentation box, this is a handsome gift. If you want something a bit more special that a wrist watch why not choose a pocket watch? 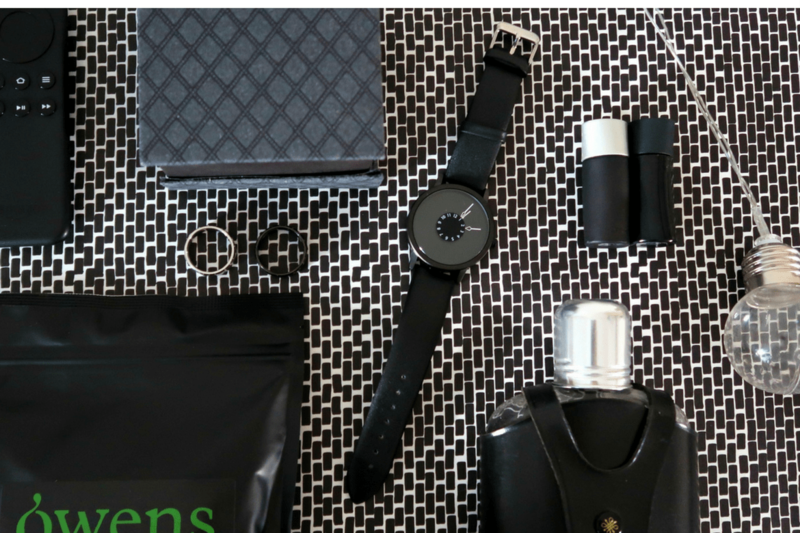 There are also options for his and hers watches if you wanted partner gifts for both parents. The Engraved gifts for him section offers a wide range of alternative ideas, such as a range of useful personalised tools for daily use! The perfect gift for anyone who loves DIY or being handy around the house. These also make ideal gifts for special occasions such as Father’s Day and birthdays. My partner is a master of malt. Prezzybox offer a 70cl bottle of Speyside Malt. It comes personalised with premium label with space for a name, date and special greeting for either Christmas or Birthday. I created a Daddy-to-be bottle with the year baby is due that can be opened especially on the due date or kept until the baby is 18 to drink with them on their birthday. Tickets or a gift certificate. Does your dad-to-be like to golf or have some other sport or hobby he enjoys? Well why not get him tickets to a game you know he’d enjoy? Why not choose a striking personalised 3D sound wave framed print as a gift for a music lover? It is bold in appearance and because you’re choosing the song, makes for a very unique gift, a great addition to any home. This print is a great reminder of an emotive song, in our case a tune we have chosen for the baby. You can also pick a sound, such a heartbeat. The A3 size is perfect for wall mounting, the wooden frames come in satin black and white and the visual sound waves can be copper, bronze or steel. You can have the name of the song and the artist printed as well as your own personalised text where you can write a meaningful message. Above all, just be sure to let dad know how much you appreciate them. A heartfelt card, or a favourite meal are great ways to do that. Is there a special gift you received when you were expecting a baby that was particularly memorable? Note: We were gifted these items for inclusion in this post, thoughts and opinions are our own.